Copeland Woodruff, Director of Opera Studies, was mostly recently co-director of opera activities at the University of Memphis where he taught and directed for six years. 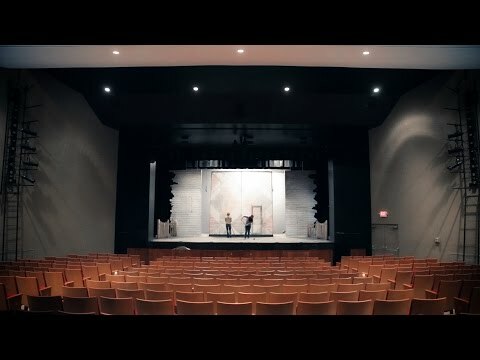 He has been on the directing and production staffs of the New York City Opera, Santa Fe Opera, Chautauqua Opera, Michigan Opera Theatre, Yale Opera, Atlantic Coast Opera Festival (NJ), and Opera North (Philadelphia and New Hampshire). Mr. Woodruff has been on the faculties of the Oberlin Conservatory, Academy of Vocal Arts, Temple University, Universität Bamberg, the Harrower Opera Workshop, La musica lirica (Italy) and Festival of International Opera of the Americas (Brazil). He has been a visiting faculty member of The Juilliard School, teaching the acting curriculum and serving as private coach to master’s students in the Vocal Arts Division. He directed Aaron Copland’s The Tender Land for Juilliard’s Focus Festival 2010. Mr. Woodruff has worked with such directors as Francesca Zambello, Anne Bogart, Graham Vick, Ken Cazan, Mark Lamos, Lou Galterio, and Jay Lesenger. He is highly sought after as a teacher of the singing actor, and was a resident stage director and the acting coach for the Harrower Summer Opera Workshop at Georgia State University for fifteen years. Mr. Woodruff has directed more than 90 opera productions, including the 2013 world premiere of Raise the Red Lantern at the Tianqiao Theatre in Beijing. Since 2006, he has earned four first-place National Opera Association Best Opera Production Awards; for Les contes d'Hoffmann (Temple University), Hansel and Gretel (U of Memphis), Dreimaldrei gleich unendlich (Juventas Opera Project), and Idomeneo (U of Memphis). He was also recognized in 2013 with the University of Memphis Dean’s Creative Achievement Award. He has enjoyed an extended relationship with Boston Conservatory’s Ensemble-in-Residence, Guerilla Opera. In addition to being on their advisory board, he has directed two productions for the company, one of which (Rojahn’s Heart of a Dog) earned Second Prize in the American Prize for Opera Performance competition, professional division. Heart of a Dog was a favorite at the Opera America convention in May 2011 and its sold-out, two-week run in Boston garnered such reviews as: “…a brilliant stroke of staging” and “…stunning” (Boston Musical Intelligencer); “brilliantly physicalized in this extraordinarily well-acted production” and “a prime and rare example of opera properly compounded with theater” (Boston Lowbrow). He is on the board of directors for the National Opera Association and served as governor of the Mid-South Region for 6 years and is currently the state governor of Wisconsin. He will judge the opera and musical theatre scenes competition at the national convention of NOA in January 2015. He will also serve with industry professionals from the Metropolitan Opera, Opera America, and others, at SUNY Pottsdam, on a panel entitled “The Role of New Works In Higher Education: Nurturing relevance and creativity in young adults at the cross-roads of popular culture.” The panel is in conjunction with the first recipient of The Domenic J. Pellicciotti Opera Composition Prize, which seeks to encourage and acknowledge the creation of new opera works that explore, within a broad range of possible expressions and representations, themes related to tolerance, inclusion and/or the celebration of diversity within an inclusive community. Mr. Woodruff holds a Bachelor of Music degree and Master of Music degree in Vocal Performance from the University of South Carolina and a Master of Science in Opera Stage Direction from Indiana University. He is a proud member of the American Guild of Musical Artists (AGMA) and Actors' Equity Association (AEA).